Dynamometer testing remains the industry standard for gauging the performance and durability of an automotive motor. Many facilities offer dyno testing, but few have the pedigree of NTS. For more than 50 years, we have been a valued partner to automotive, aerospace, defense and other industries in which advanced engineering expertise is required to bring a new product to market. 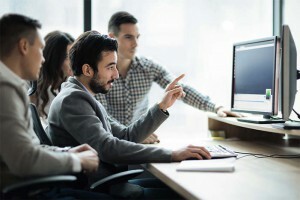 Our reputation has been built on our ability to provide accurate testing and data acquisition at a fair price. Aside from engine dynamometer testing, we provide a number of additional services for — but not limited to — automotive component manufacturers. For all of your testing and simulation/analysis needs, contact NTS first. The NTS Dynamometer laboratory, located in Detroit, MI, has more than 20 large dynos from 5HP to 600HP. NTS specializes in the design and construction of test fixtures, headsets and drivelines integrated with instrumentation and control equipment tailored to meet specific customer requirements. NTS’ dynamometer testing expertise encompasses practically every aspect of a vehicle’s drive train: transmissions, transaxles, transfer cases, rear axles, U-joints, half-shafts, and complete driveline systems. Innovative on-stand conditioning can induce hot, cold and special environments on any rotating component. A unique test exposes propshafts to hot, cold, salt/sand slurry, torque and speed, while monitoring the bearing temperatures with infrared cameras. Accessory drive components can be exposed to high rpms (up to 9,000 rpm), salt, hot, cold with simultaneous performance testing. Automated control, monitoring and data acquisition with torque/speed profile, backdrive and shift capability for transmissions, PTUs, gearboxes, axles, driveshafts, along with rotating machinery analysis. Simultaneous application of dynamic axial and/or radial loading to rotating components on geared hubs, spindles, CV joints. 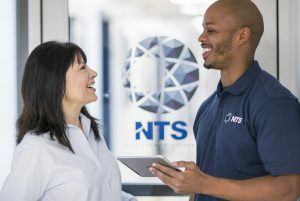 To meet the growing need for testing and certification of hybrid, electric and alternative-fuel cell vehicle components, NTS Detroit has invested in the equipment necessary to accurately evaluate their performance and efficiency. Aside from EV dynamometer testing, we are also equipped to perform mechanical stress and environmental testing for all vehicle power train, structural and electrical system components. Conveniently located to serve automotive manufacturers and contractors, NTS Detroit is 65,000-square-foot facility well equipped to provide engine dynamometer testing and other services for today’s modern vehicles. In addition to dyno testing, our team can perform mechanical and fluid dynamics analyses, electronics measurement and testing, and environmental simulations that accurately replicate the wide range of conditions a vehicle may encounter during use. NTS Detroit is an ISO 17025-compliant facility that has been independently accredited by the American Association for Laboratory Accreditation (A2LA). As a result, we can provide certification and pre-compliance management for a wide range of national and international regulatory standards. Contact NTS today to discuss your automotive testing requirements.